The "Yellowjackets" of VAQ-138 fly the EA-6B Prowler out of NAS Whidbey Island, WA. They were established in February 1976 and are under the guidance of CVW-9 onboard the USS Stennis (CVN-74). This is the large version of their squadron patch. The "Yellowjackets" of VAQ-138 fly the EA-6B Prowler out of NAS Whidbey Island, WA. They were established in February 1976 and are under the guidance of CVW-9 onboard the USS Stennis (CVN-74). This is the medium-sized version of their squadron patch. The "Yellowjackets" of VAQ-138 fly the EA-18G Growler out of NAS Whidbey Island, WA. They were established in February 1976 flying the EA-6B Prowler, but transitioned to the current aircraft a few years back. This patch was found in a (no kidding) little old Korean shop and does not have velcro attached. The "Yellowjackets" of VAQ-138 fly the EA-6B Prowler out of NAS Whidbey Island, WA. They were established in February 1976 and are under the guidance of CVW-9 onboard the USS Stennis (CVN-74). This is their "det" patch from Operation Allied Force when they were deployed to Aviano Airbase, Italy. 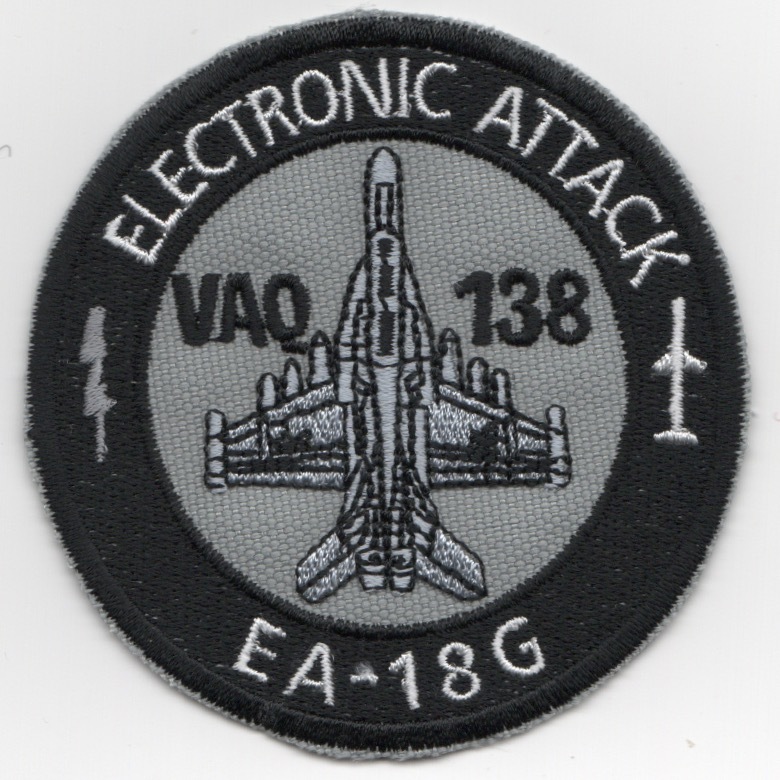 Homepage | Order VAQ-138 Patches!